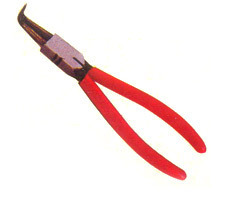 We have with us rich industry experience in successfully handling the demands of Snap Ring Plier. These are made available with inner/bent finish options and are offered in different models. These comprise HO-4715 in length of 125mm (5"), HO-4717 in lengths of 175mm (7"), HO-4719 in lengths of 225mm (9") and HO-47112 in length of 300mm (12").